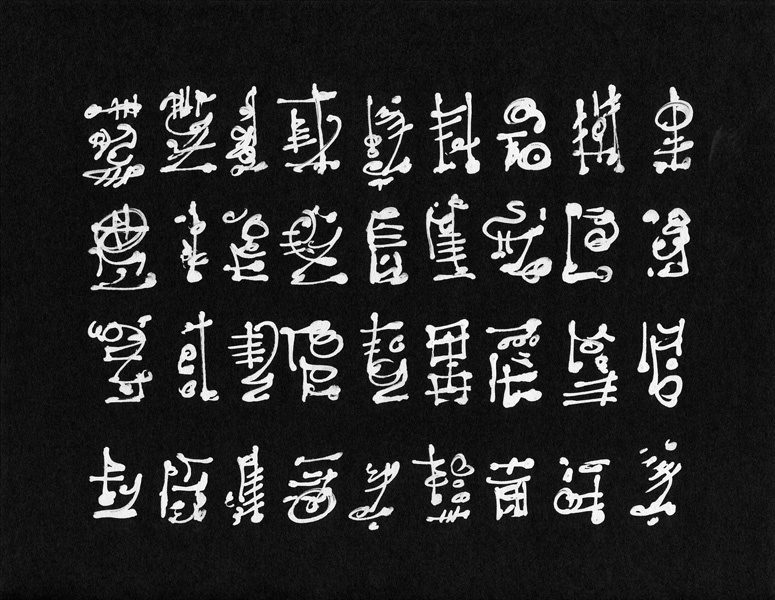 Save Vs. Dragon: Somebody cast read languages and tell me what this says. Anáil nathrach, ortha bháis is beatha, do chéal déanaimh. "Be sure to drink your Ovaltine." Thanks everybody! This was exactly the kind of response I was hoping to get. BTW, if this were a contest, I agree with frothsof... TONY WINS!!! W00T! Where is my no-prize? @Eric... I did this about 20 years ago (found it in the garage recently). If I remember correctly, it was done with a Liquid Paper/White Out pen (so, you were close). Thanks to all who submitted. I will be sending Tony a set of New Big Dragon buttons for "winning." He'll be receiving a green d30 button, a yellow/red dragon button, and the red/white dragon button that was originally a NTRPG Con exclusive.